In this article we explain briefly about orthodontic extractions, reasons, factors and different type of extractions. Extractions of teeth are defined as painless removal of the teeth from their sockets. To relieve crowding: this is done when the dental arch (teeth) is too big to fit into the basal arch without irregularities , thus its needed to extract teeth to reduce the size of the dental arch to fit the basal arch properly. (In mild cases of crowding we can do stripping and expansion instead of extraction. Correction of Antero-posterior dental arch mal-relation: mal-relation is similar in crowding, thus extraction is needed to gain space to be able to correct the mal-relationship. Especially in class 2 Division 1 “when the upper arch is too far forward in relation to the lower arch” , Thus,extraction of the upper teeth to give space so that the anterior teeth can be placed backwards to correct this mal-relationship. Difference in the basal arches length. Axial inclination of the lower incisors. 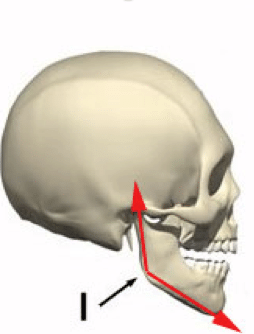 The growth direction of the jaw. Gonial angle = Procumbency (excessive labio-axial inclination) of incisors with the Facial horizontal plane is more pronounced with a short ramus and extremely obtuse Gonial angle. Soft tissue distribution and thickness covering the facial bones. Mental attitude towards the treatment. Oral hygiene and caries index. During Orthodontic Treatment, what are the main factors that govern the decision of which tooth that should be extracted? Teeth condition: teeth with carious lesions, fractured, hypoplastic or with large restorations are more favorable for extraction then sound teeth, but should also take the tooth position in consideration before choosing, but in most cases it’s the major overriding factor even when it makes the treatment harder or prolonged. Teeth position: grossly mal-positioned teeth that are difficult to realign are often the candidates for extraction. Keep in mind it’s the tooth apex location that governs, why? Because the apex is harder to move than the crown. Balancing extractions may be defined as the removal of a tooth on the opposite side of the same arch in order to preserve symmetry. Class I + crowding + normal overbite and overjet+ unavoidable extraction or loss = the other side should be extracted to avoid shift of the mid line and maintain the overbite. Class II Tendency + Excessive over bite + unavoidable extraction or loss in lower teeth = Compensating extraction in the upper but not vice versa. Class III tendency + unavoidable extraction or loss in upper teeth = Compensating extraction in the lower but not vice versa. It may be possible to effect a change in molar occlusion by extracting in one arch only, or a few months earlier than in the other. Thus extractions done in phases, so called as Phased Extractions. These extractions are carried out because they are necessary as in the case of grossly decayed teeth, poor periodontal status, fractured tooth, impacted tooth, etc. Wilkinson advocated extraction of all the four first permanent molars between the age of 8 ½ & 9 years. The basis of it is the fact that first molars are highly susceptible to caries. The other benefits of extracting first molars at an early age are to avoid third molar impactions by providing additional space for their eruption and to reduce crowding in the arch. Wilkinson‘s extractions are not usually carried out because of various drawbacks as first molar extraction offers limited space for crowding correction and 2nd bicuspid & 2nd molar rotate & may tip into the extraction space. Extractions of two premolars at the same time. Concept was introduced by Kjellgren. Nance is known as the Father of serial Extractions. It is defined as Extractions of certain deciduous teeth and permanent teeth in selected cases to overcome crowding. Usual sequence of extraction is primary canines, primary first molars & first premolar. This concept is applicable when extraction of the permanent teeth are done without appliance therapy. Teeth have a natural tendency to drift into the extraction space. Extraction of the lower first premolars are often associated with spontaneous decrowding of lower anteriors. Such spontaneous decrowding by drifting of teeth is referred to as Driftodontics, & is less frequent in upper arch. Dr. Irfan Zunzani’s Presentation about Orthodontic Extractions. Paper Written By Dr. Mohsen S. Ozaibi in 2008 titled Orthodontic Extractions for Misr International University.